I have been very fortunate to have had the opportunity to address residents of the Amber Valley and Amberfield retirement villages situated outside Howick. My address was aimed to offer suggestions on how to make the most of one’s years in retirement. After my presentation, I had the opportunity to talk to some of the residents. Everyone I spoke to was enjoying their new lifestyle. Many commented that there are so many activities that they could become involved in. I have also had the privilege of being part of The Hills Retirement Community Annual Project for the last few years. I have been afforded the opportunity to promote our book had a table at these events. They have excellent speakers promoting various aspects of retirement including health, the great activities, and services that their retirements villages provide. The purpose of their Expo’s is to introduce the audience to their dedicated and effective team. Recently, I had the opportunity to address members of the Rotary Club of Westville. In question time, their president asked me my opinion of moving into a retirement home. My answer is that it is a very personal and important decision to make. One should carefully consider all the options available. A lot depends upon your personal situation. In my case, my wife’s hobby is collecting orchids and she has several shade houses. She has also recently started collecting aloes. Fortunately, we are in pretty good health and enjoy our garden. We both realise that at some stage in the future we need to downsize but feel the time is not yet right. In our book “The Next Step- Planning the Road through Retirement “we cover, in some detail, downsizing – its advantages and disadvantages. This important aspect is covered in Chapter 10, Pages 150 to 159. Recently I heard a very good comment which said that “if you have not used any particular item in your home for six months, consideration should be given to getting rid of it”. Errol and Sharon-Ann Theronare unbelievable people who do so much work for the retirement community in the Hibiscus Coast. Last year they launched a booklet called “Pensioners Friends“ aimed at the retirement community, particularly those who do not have computers and those who are not computer illiterate. This booklet covers some very useful information for pensioners including the various discounts and special offers that are locally available. They have now produced 6 booklets The first one was aimed at the Amanzimtoti area and the latest booklet covers the Scottburgh area. We have to date advertised in two of their booklets. In their latest edition, they devote a full page to information on choosing the right time to downsize. They discuss the situation when a retiree has often lived in the same house for many years They have raised their family there is. Now their house is too large for them. 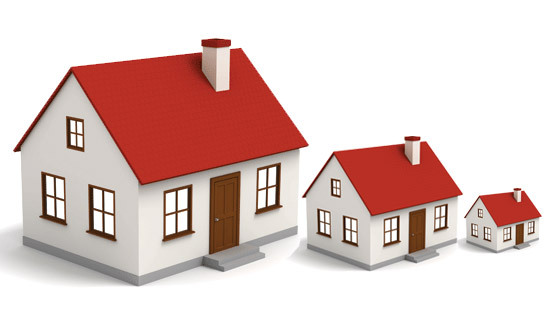 Listed below are some pointers to assist to decide when it is the right time to downsize. When you have too much space- You notice that you only use certain parts of your home. Before a spouse dies or becomes very ill- the surviving spouse may have to look after a home that is far too large and expensive to keep up. Whilst you can still afford it. Holding onto the family home for sentimental reasons is never a good idea. Consider moving while you still have your savings. The moving into a retirement village and downsizing is a huge and very important decision to make. I suggest weigh up all the important advantages and disadvantages, before making one of the most important decisions of your life.